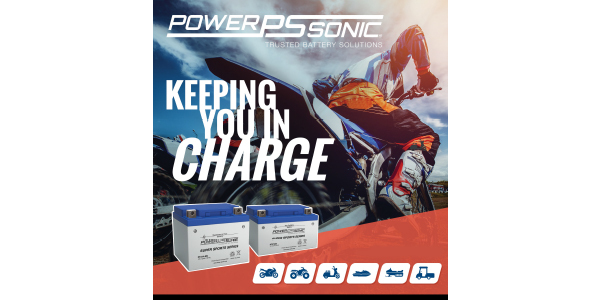 AMS Automotive and Power Sonic expanded its comprehensive powersport battery line-up of Super Sport and Ultra Sport to now include a complete line of Hyper Sport lithium products. The new Hyper Sport series combines proven lithium technology with active intelligent monitoring, delivering a range of batteries that are four times lighter, four times faster charging and last four times longer than original equipment specifications. At the heart of every Hyper Sport Lithium battery is an integrated active management system that monitors and reacts to multiple voltage, current and temperature events to maximize performance, battery life and safety. Market research conducted by Power Sonic indicated that battery compartment fit along with all the other advantages of lithium including ultra-low weight, faster charging and longer life was key to meeting customer expectations. Power Sonic Hyper Sport batteries have been specifically designed to fit application battery compartments. Hyper Sport utilizes Lithium Iron Phosphate (LiFePO4) technology, which is the safest type of lithium battery currently available in the powersport industry and a ready to go replacement and upgrade from lead acid, AGM or gel. 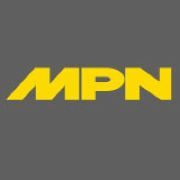 AMS Automotive and Power Sonic will offer 15 group sizes in the Hyper Sport series covering more than 95 percent of powersports applications including motorcycle, scooter, ATVs, personal watercraft and UTVs. The Hyper Sport series are backed by a two-year limited warranty and will be available in Q2 of 2019.